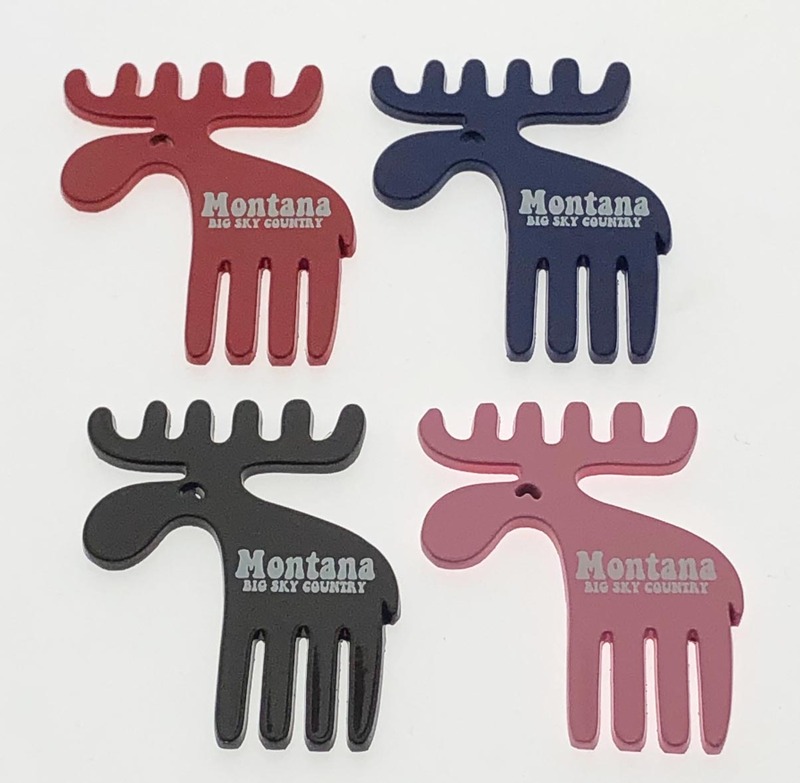 Our CUTIE MOOSE Key Tags and Magnets are made from zinc alloy and are color painted in 4 assorted colors: PINK, BLUE, RED, and BLACK. 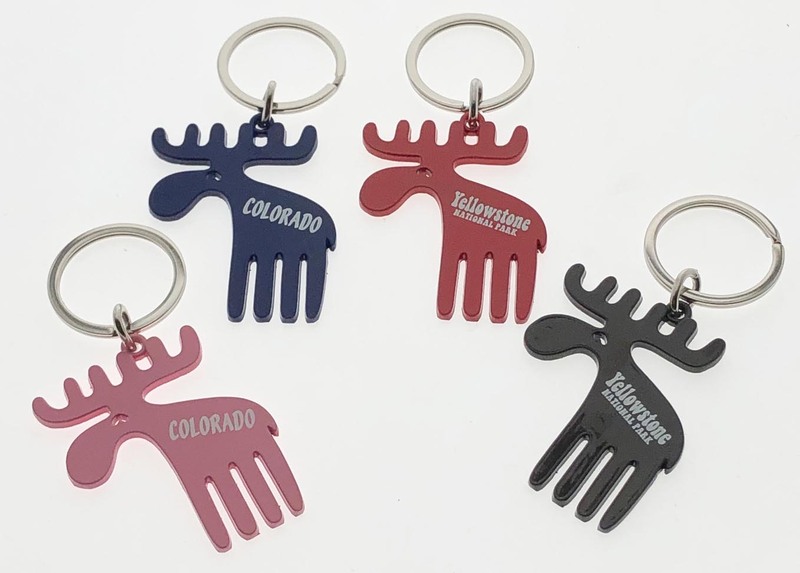 Each piece measures 2 1/8" by 1.75" and the key tags are attached to a 1.25" flat split ring. The magnets have 1 bullet magnet measuring 5/16". 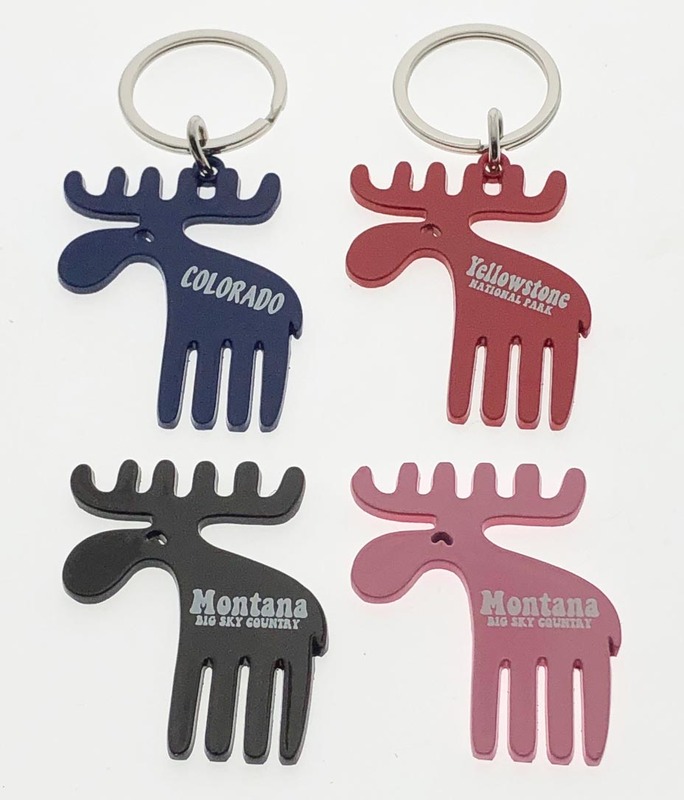 Mix and match the key tags and magnets to reach any quantity level.